The controlled creation of defect centre—nanocavity systems is one of the outstanding challenges for efficiently interfacing spin quantum memories with photons for photon-based entanglement operations in a quantum network. Here we demonstrate direct, maskless creation of atom-like single silicon vacancy (SiV) centres in diamond nanostructures via focused ion beam implantation with ∼32 nm lateral precision and <50 nm positioning accuracy relative to a nanocavity. We determine the Si+ ion to SiV centre conversion yield to be ∼2.5% and observe a 10-fold conversion yield increase by additional electron irradiation. Low-temperature spectroscopy reveals inhomogeneously broadened ensemble emission linewidths of ∼51 GHz and close to lifetime-limited single-emitter transition linewidths down to 126±13 MHz corresponding to ∼1.4 times the natural linewidth. 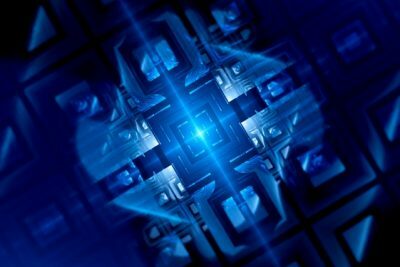 This method for the targeted generation of nearly transform-limited quantum emitters should facilitate the development of scalable solid-state quantum information processors.